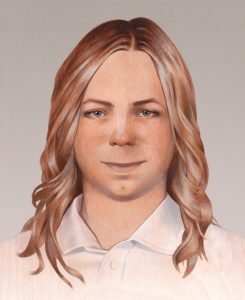 Thank you for supporting Chelsea Manning! You can write her today. Do not include a hash (“#”) in front of Manning’s inmate number. Do not include any title in front of Manning’s name, such as “Ms.,” “Mr.,” “PVT,” “PFC,” etc. For international mail, either “USA” or “UNITED STATES OF AMERICA” are acceptable on a separate line. Chelsea Manning is currently eligible to receive mail, including birthday or holiday cards, from anyone who wishes to write. You are also permitted to mail unframed photographs.You can also send her a book, mailed directly from Amazon.com to her at the address above. Chelsea Manning cannot receive cash, postage stamps, or any item of value. However, you can send her a money order or cashiers check made out to “Chelsea E. Manning” and mailed to the address above. These funds will be deposited into Chelsea’s prison account. She will use this account to make phone calls, purchase stamps, and buy other small comfort items not provided by the prison. Personal checks are not accepted. They will be destroyed. Any money order or cashiers check made out to any name other than “Chelsea E. Manning” will be returned or destroyed. There are restrictions on what you can send. The military will reject any mail that violates postal regulations or contains obscenity, blackmail, contraband or threats. Any mail that is considered detrimental to security, good order, discipline, or the correctional mission of the prison will be rejected. Contains inflammatory material or advocates escape, violence, disorder or assault. Directly or indirectly threatens the security, safety or order of the facility. Contains coded or otherwise undecipherable language that prevents adequate review of the material. Contains items of contraband (including anything of any material value, including postage stamps or cigarettes).